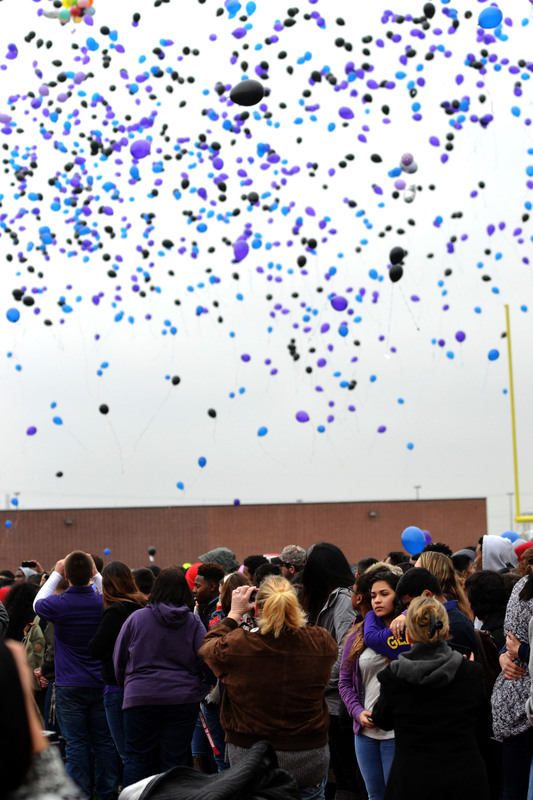 Students, staff and members of the Manvel High School community took part in a balloon release ceremony today, dedicated to celebrating the lives of three deceased students. Seniors Zori Petrova, Josh Rodriguez, and Sara Silvas died in a single-car accident around 2 p.m. on Wednesday in Manvel. Today’s ceremony consisted of a song performed by senior Erica Honore and junior Hunter Hagdorn, a poem written by senior Kayse Musse, some words from principal Charlotte Liptack, and the release of over 3,000 balloons.